Phono Ghosts & Sferro - Alive in the Timeless Void. Fonolith. 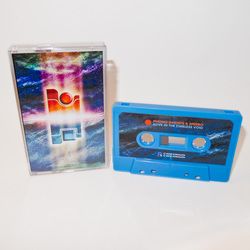 UK tape mangler Phono Ghosts (Fonolith, Skam Records) and US synthwave supremo Sferro (Rosso Corsa, Girlfriend Records) join forces for a new EP on Fonolith, following their 2017 collaborative single ‘Court of the Twelve Trees’. Featuring five new tracks and an exclusive remix by Odd Nosdam, ‘Alive in the Timeless Void’ is an expedition through uncharted waters and windswept wastes. 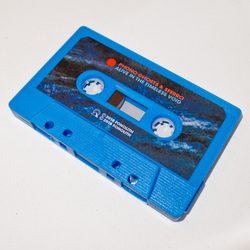 Fusing Sferro's synthetic machine sheen with Phono Ghosts’ haunted cassette emanations, the results traverse rain-soaked atmospherics to chugging electro, culminating with the wide-screen vistas of Odd Nosdam’s remix. 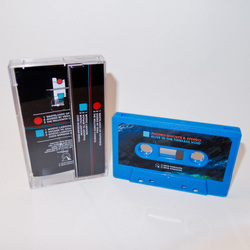 Available on ‘ocean blue’ cassette tape and digital formats.